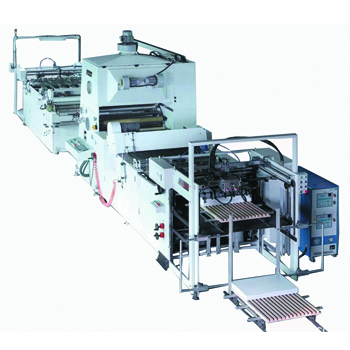 Fully Automatic Laminating Machine is suitable for laminating by water-based/oil-based and pre-coated,which has feature of multi-function,high speed and energy saving. 3. Adopts Pneumatic Gluing-supply System,glue supply aunt is adjustable and save glue. 4. Adopts Automatic Tension Control System for constant tension. 5. Adopts disc type blade for cutting film.PET film requires chain blade for optional.